bitninja.io Captcha abuse claim — . :: GSA SEO & Marketing Forum ::. 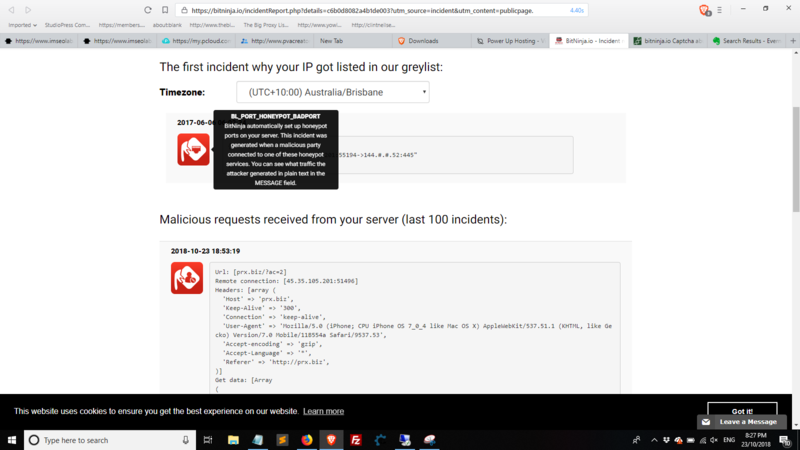 Is anyone else getting grief from the turkeys @ ;bitninja.io with "malicious attack claims" because GSA SER's configured captcha services failed to answer captchs? I am using GSA Captchbreaker + Textcaptcha solver. This doesn't seem to be an issue with captchas at all but with 45.35.105.201 being used as a proxy server.